Home/Debt Collection/How Long Can Debt Collectors Come After Me? How Long Can These Collectors Come After Me? In Arizona, the statute of limitations on credit card debt is six years. In essence, this means that from the time that you fail “to make a full, agreed to monthly payment,” a debt collector has six years to file a lawsuit against you before the debt becomes noncollectable. The sad fact is that many debt collectors and debt buyers are fully aware of when that deadline is and wait until the end is near before filing a lawsuit, further trashing your credit. Once they file suit to obtain a judgment the statute of limitation goes away. After your credit has been trashed for six years, a judgment gives the debt collector even more time to rack up interest and appear as a derogatory entry on your credit report. 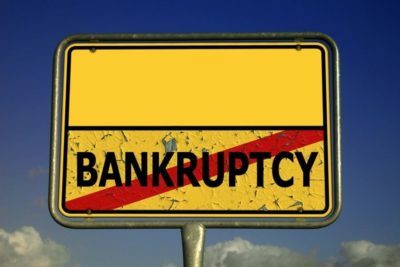 The sad fact is that many debt collectors and debt buyers will sue you even after the Statute of Limitations has run its course. Their bet, and it is a good one, is that a debtor will not file a response raising the Statute of Limitations as a defense. Once the judgment is entered, it’s too late, even if the court would have determined that the debt was no longer legitimate. The fact is Arizona has always been a great place for debt collectors to pursue their calling. That said, the state recently went out of its way to make it an even more hospitable environment for collectors by radically changing the law pertaining to civil judgments on consumer debt. The civil judgment is the linchpin that enables collectors to leverage debts into garnishments, levies, and liens. Until recently Arizona law allowed a debt collector to execute on its judgment for five years. At the close of the five year period, a debt collector would have to take the affirmative step of having the judgment renewed and to keep renewing it every five years thereafter. Of course, many of the judgments would lapse after the first five years and would be rendered noncollectable. This year, the Arizona legislature decided that the five-year renewal requirement just wasn’t sufficiently pro debt collector so they doubled it. Now collectors get a full ten years to execute on a judgment and can renew at that time for another ten years. The problem is that most debt collectors will sit on judgments for some time before they actually attempt to collect on them, allowing high-interest rates to double and often triple the amount owed. Also, allowing judgments to last so long helps strengthen the market for debt buyers to sell or resell debts often for pennies on the dollar. Ultimately, in passing this law, the Arizona legislature didn’t really do much to help creditors. The majority of collections lawsuits in Maricopa County are filed by junk debt buyers who are not based in Arizona. How does this help anything? The money isn’t really going to Phoenix creditors, it’s going to collections companies in other states. If you have been sued by a debt buyer, it’s time to consult with an experienced attorney. Please feel free to set up a free consultation at Phoenix Fresh Start Bankruptcy Attorneys. We are happy to help.